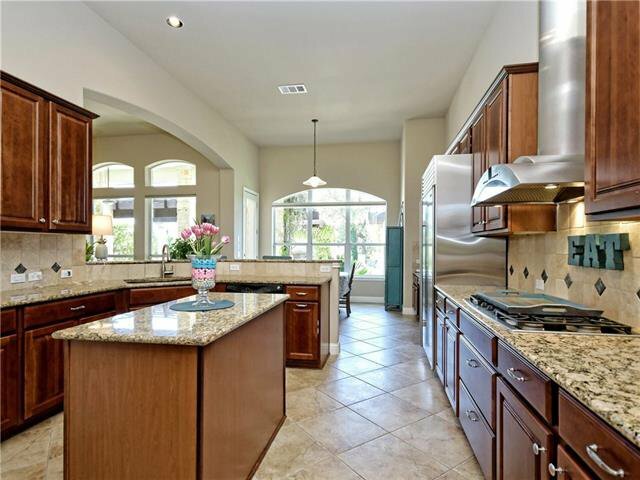 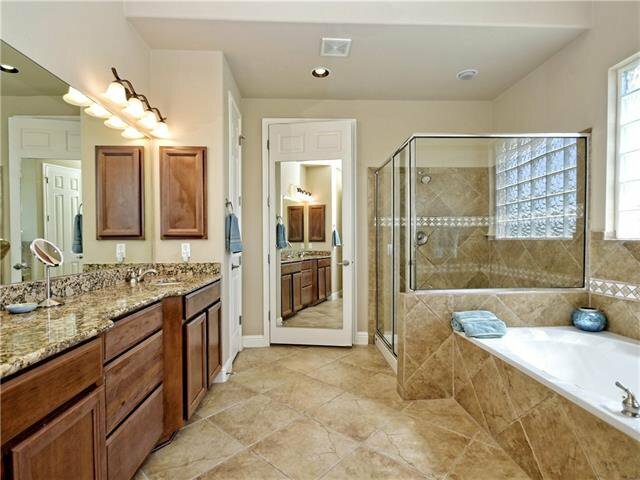 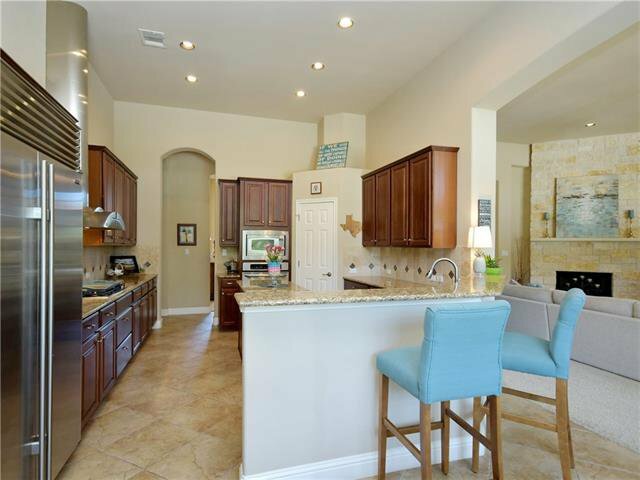 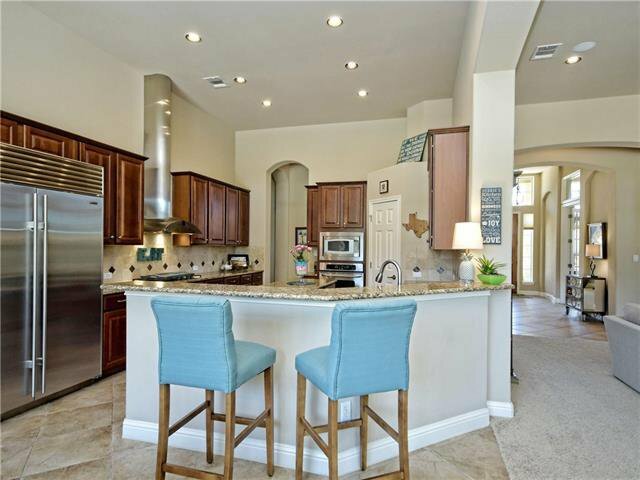 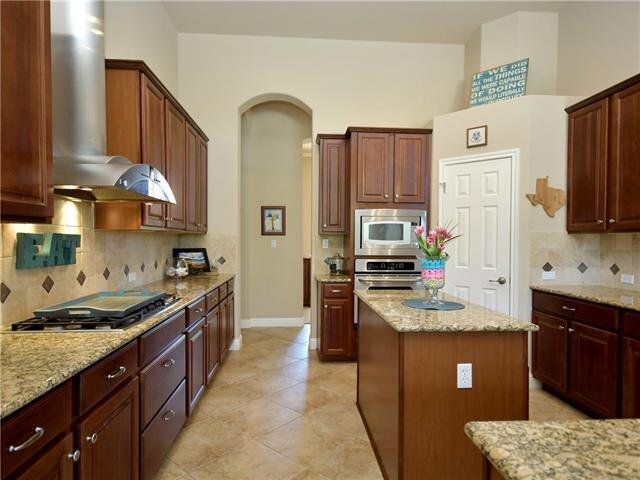 Desirable 1-story w/many upgrades & features! 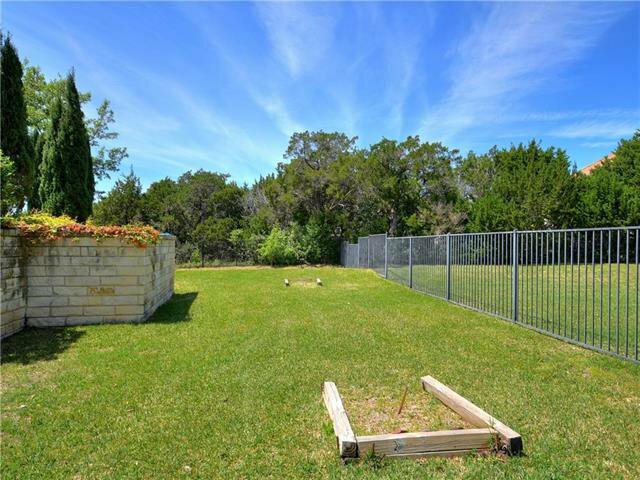 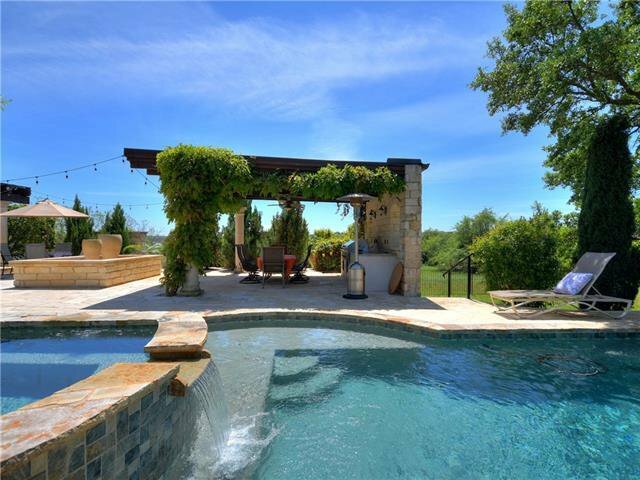 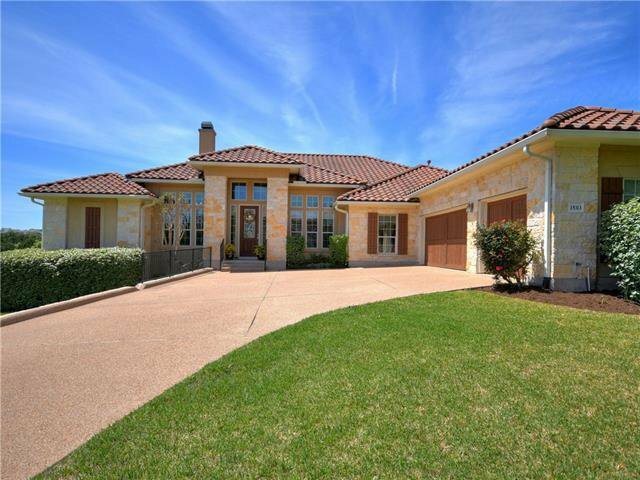 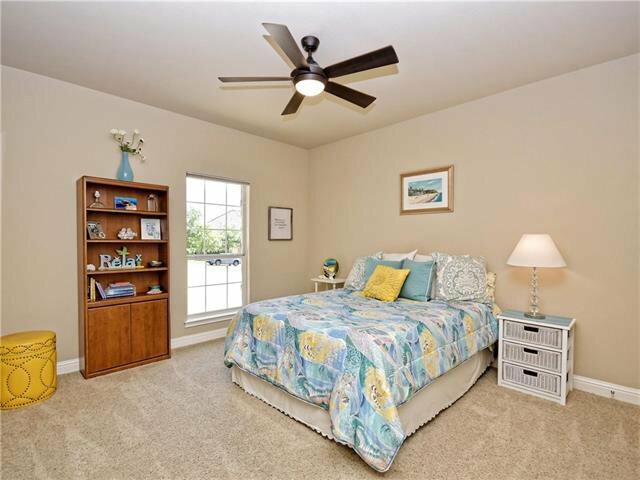 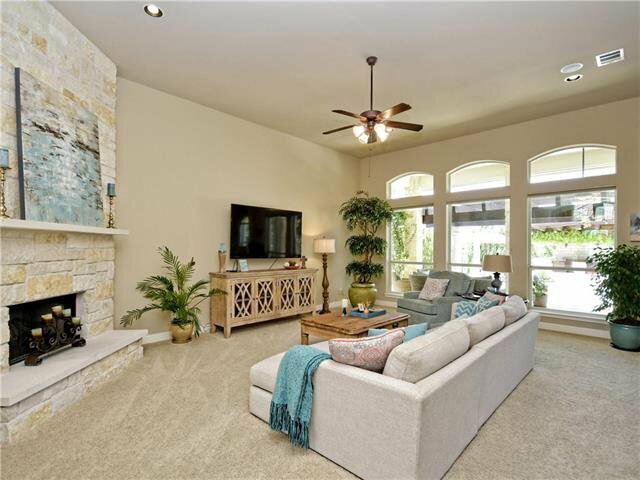 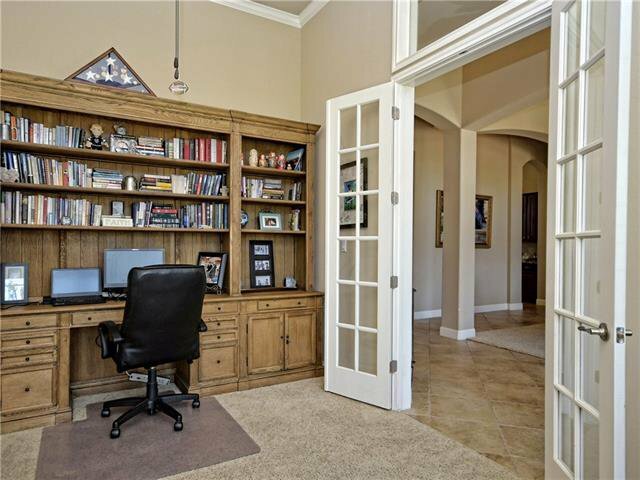 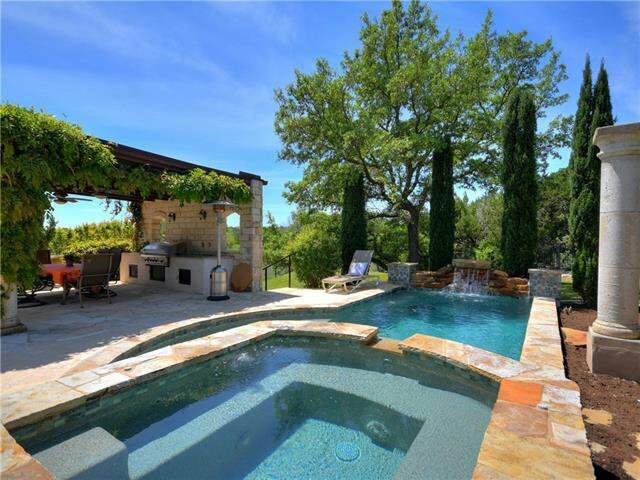 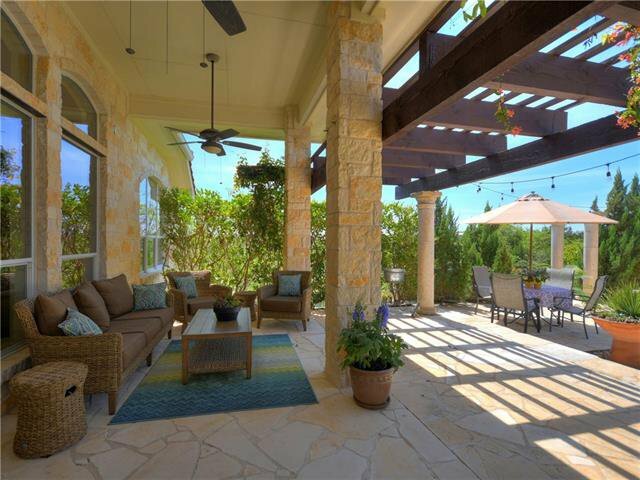 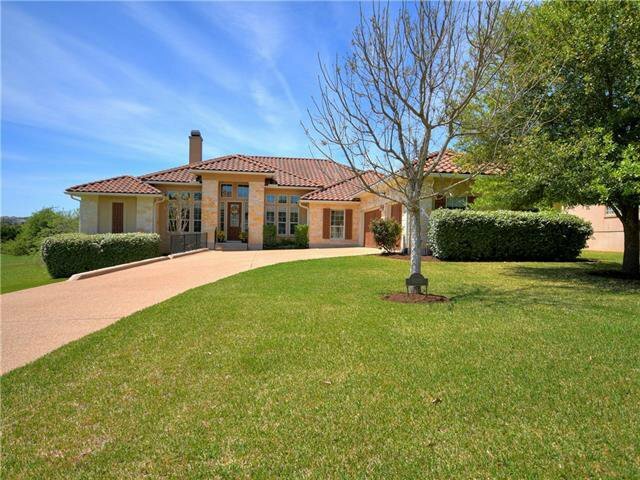 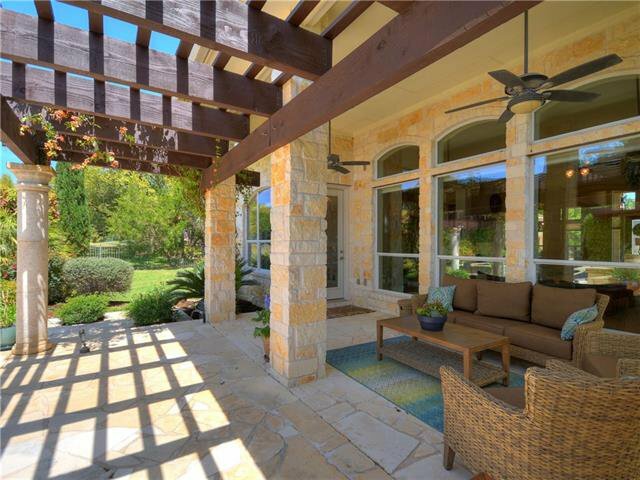 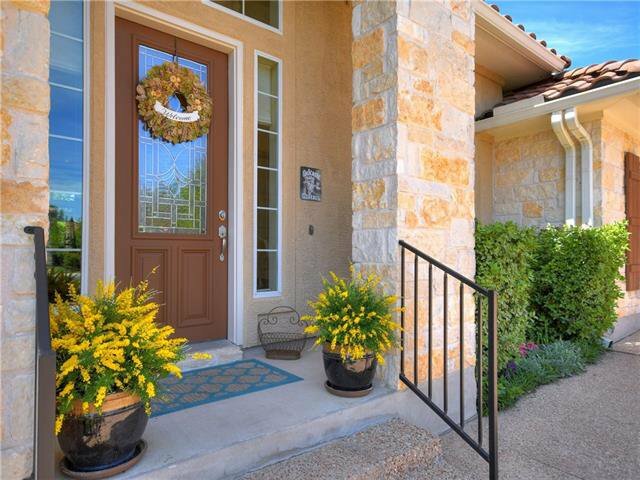 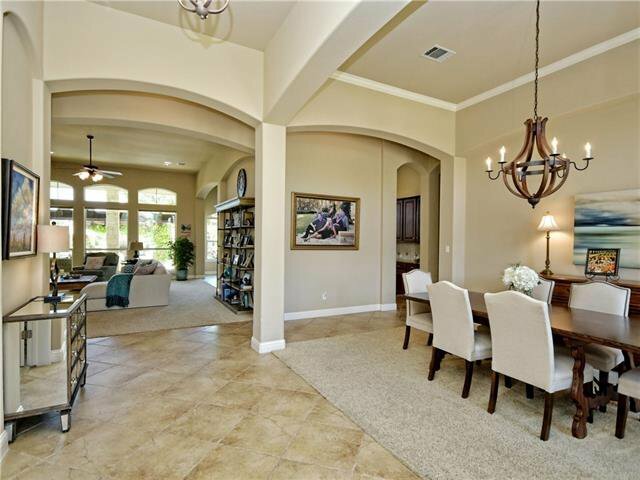 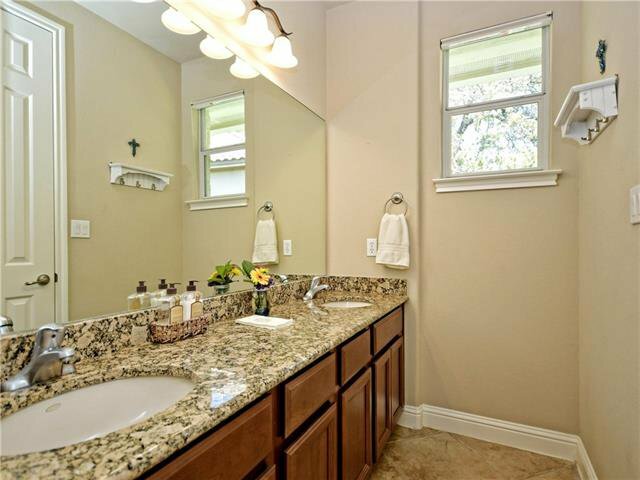 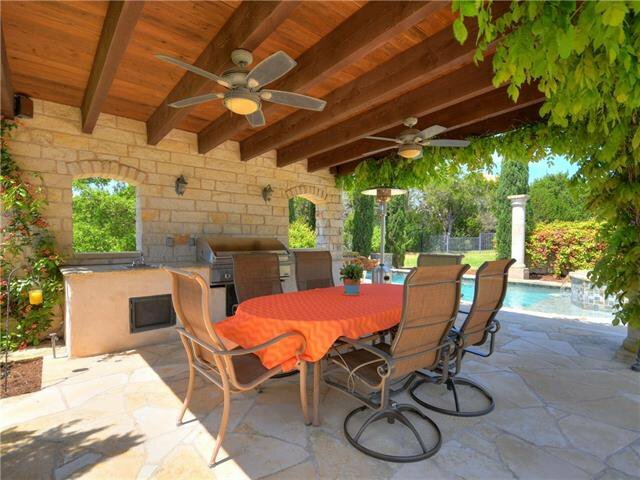 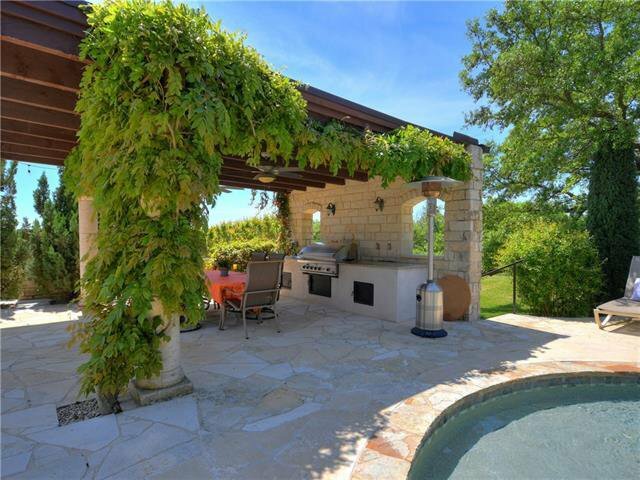 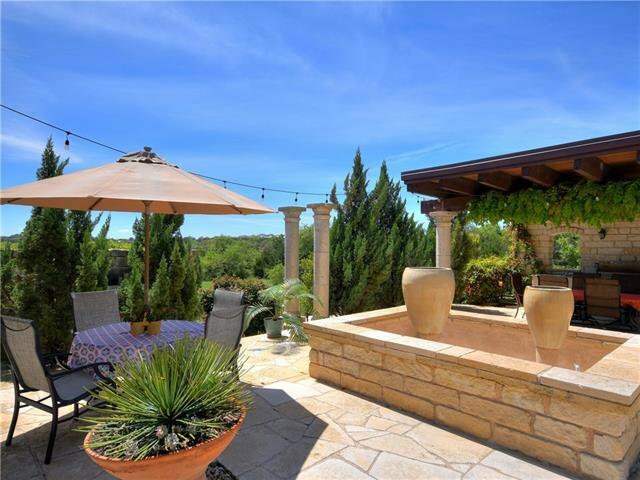 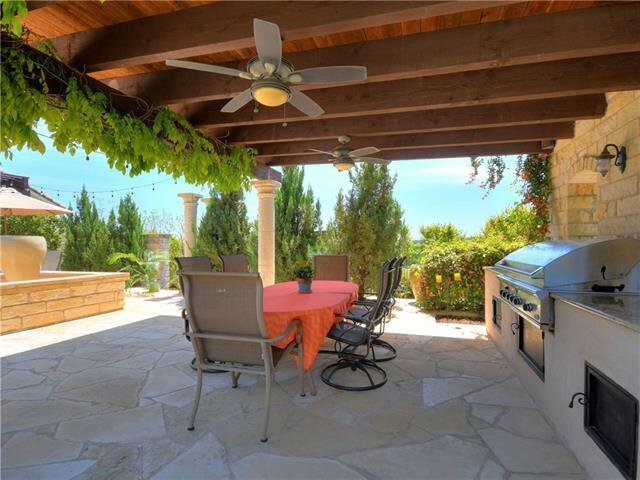 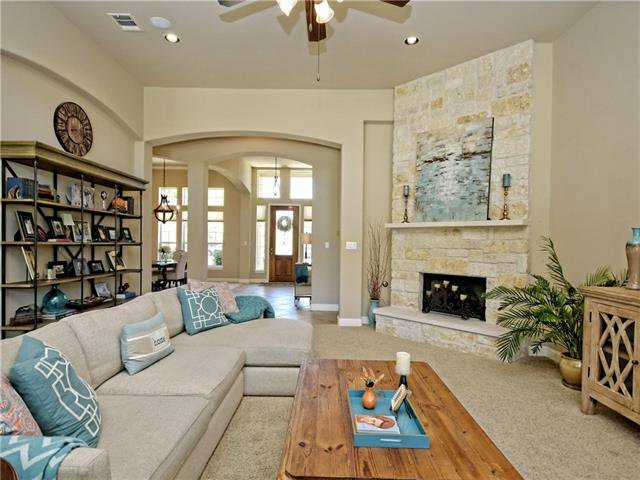 Lake Travis schools, back yard paradise, no neighbor on one side, backs to green space. 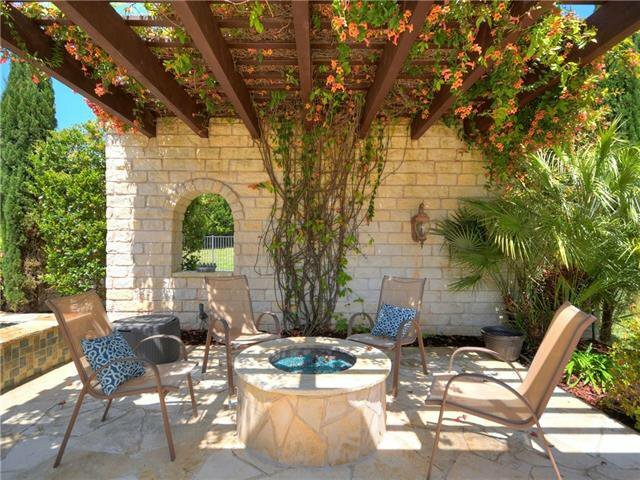 Fire pit, outdoor kitchen, fountain, covered & open patios. 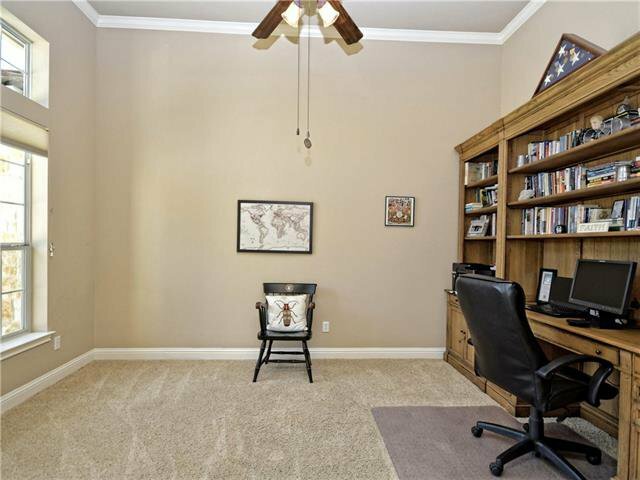 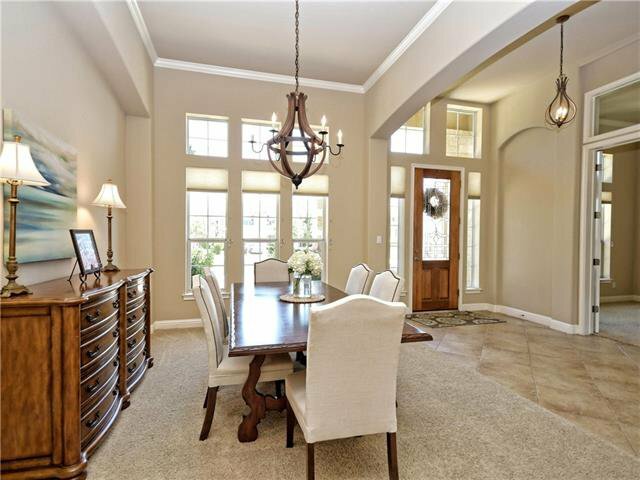 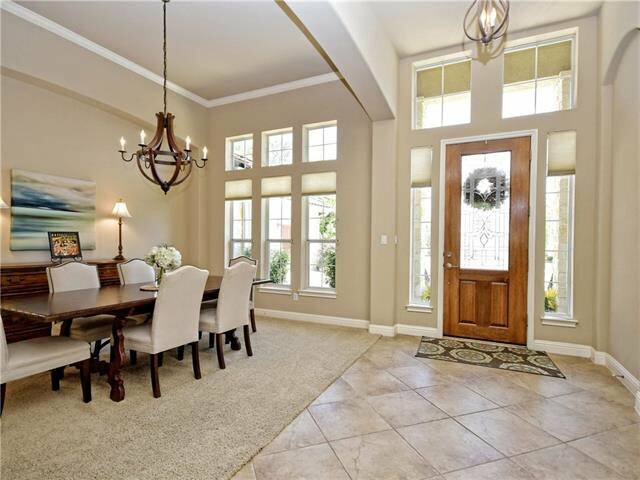 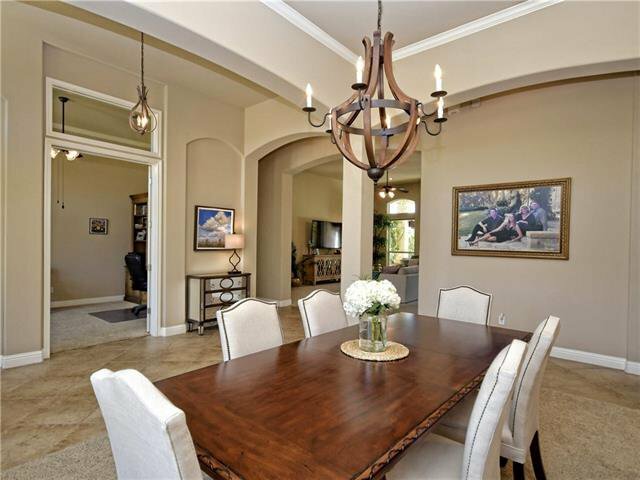 4BR, media rm w/bonus room, gourmet kitchen. 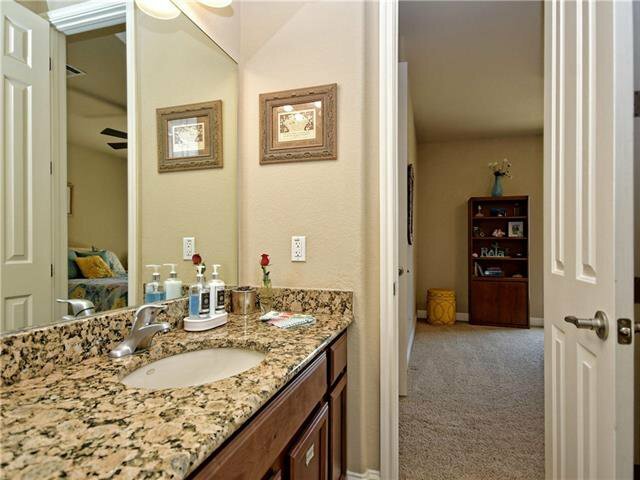 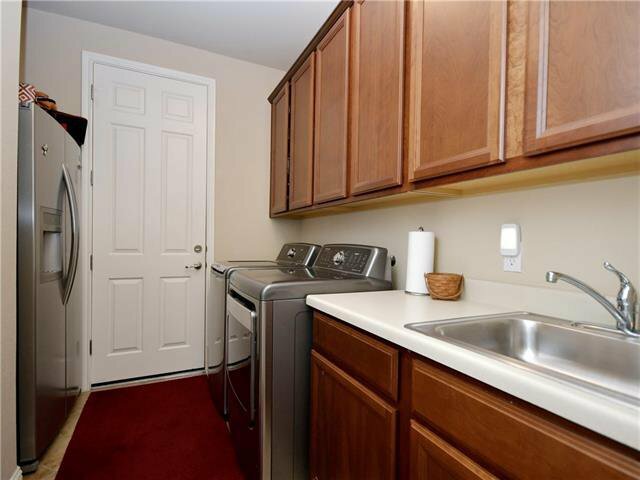 Huge laundry rm w/sink, cabinets, 2nd refrigerator. 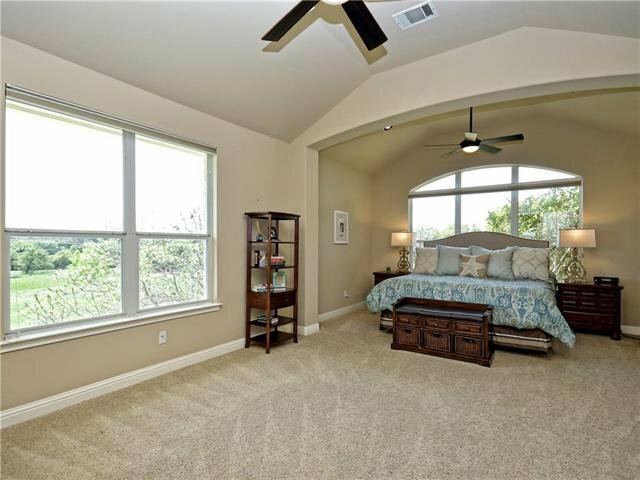 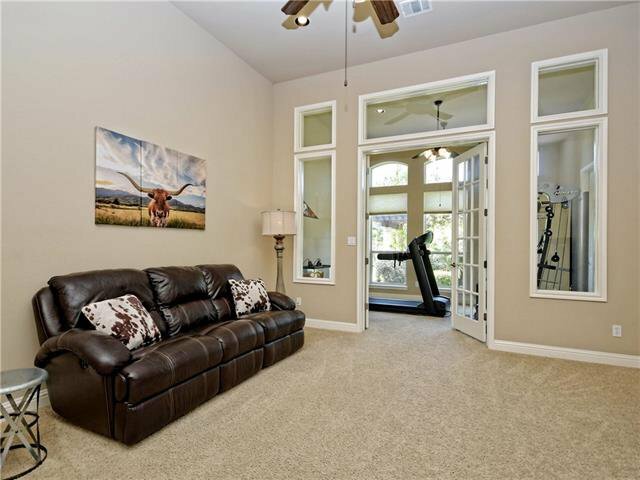 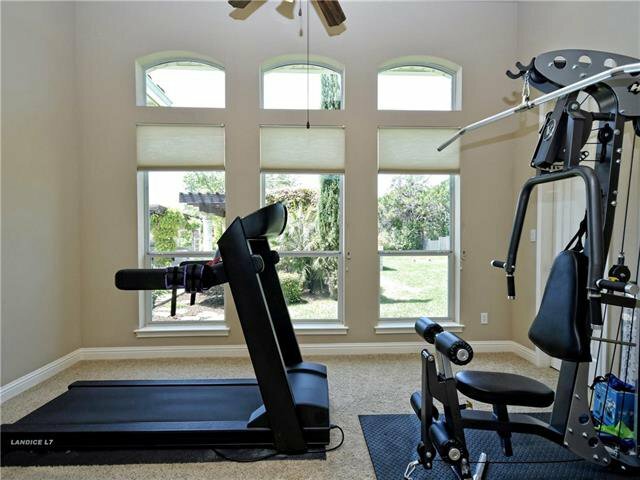 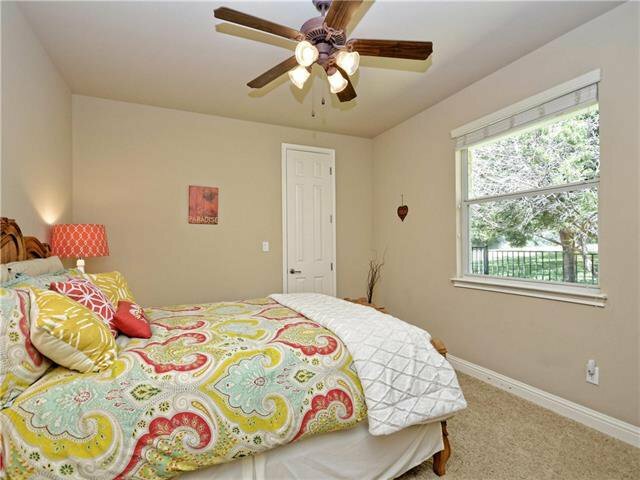 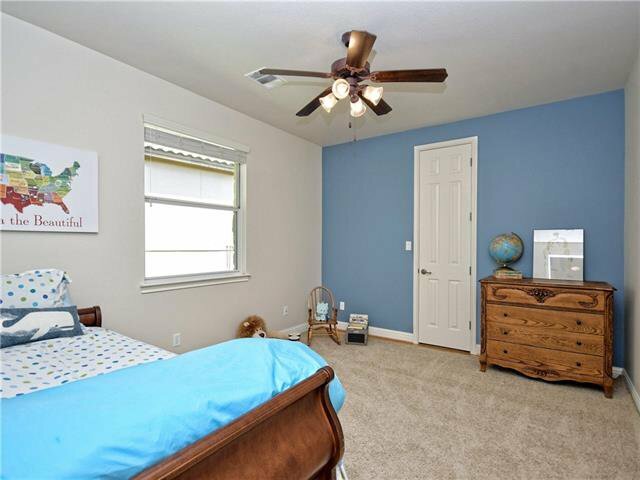 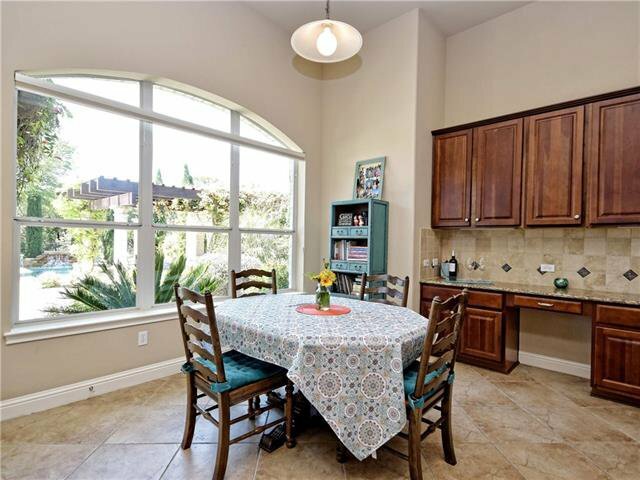 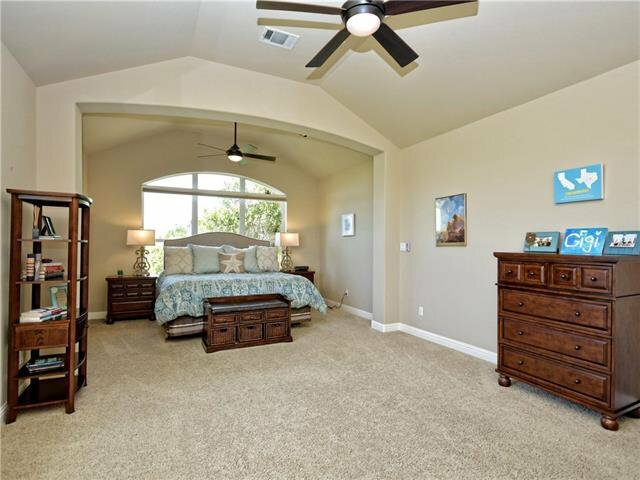 Windows provide gorgeous sunlight and views of back yard and open field. 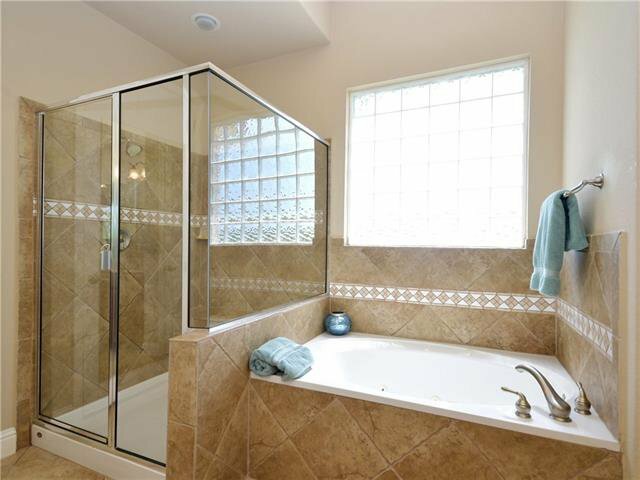 Jetted tub in MBth, lg closet w/built-ins. 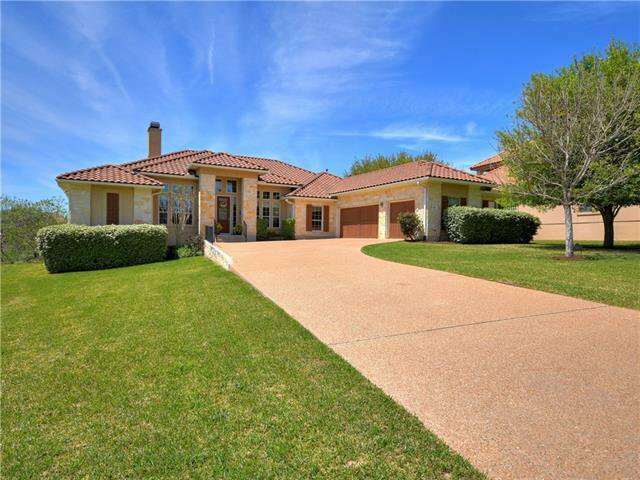 3car garage.